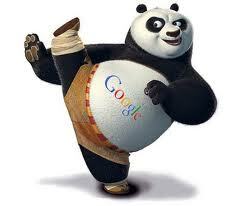 TAMPA, FLORIDA — On Friday, we told you about why you might have lost your Google ranking after the Panda update in 2011. In the second installment of our two-part series, we’re sharing some helpful information on how you can tweak your site and hopefully restore your ranking. We’ll also discuss when to give in and hire a professional SEO web services company. If any of the factors we outlined in our previous post describe your situation regarding lost Google rankings, fixing the problem is doable, says Ali Husayni, who develops SEO marketing plans for clients. First of all, as we’ve said repeatedly through the years, you must write fresh, quality and unique content on a regular basis, as Husayni emphasizes. Search for your content online to make sure other sites are not stealing from your site. Simply copy a phrase, put it in quotes in your search box, and see what results you get. Let’s say you find that people have, in fact, copied your content. What then? Reach out to the blogger or the company that you feel has swiped your content. In a professional manner, explain that your material is copyrighted and they must remove it from their site or pay you for it. Report a Digital Millennium Copyright Act violation. The DMCA outlines penalties for copyright infringement on the Internet. A simple Google search will provide you with a template to complete and sent to the offending party’s hosting provider. Notify the offending party’s advertisers. Telling the advertisers about the offense could cause them to pull their advertisements and affect the blog’s revenue. “Hitting someone in the pocketbook can be effective in getting your point across,” Husayni says. You also should consider that at some point, you might need to hire a professional. SEO tactics and techniques change as often as Google changes its algorithms. Simply running your business likely keeps you busy enough, without also having to play “SEO expert” and trying to keep up with your website. A business SEO specialist can monitor your site and work to get your site ranked so you can focus on your customers. You always need writers who understand SEO and the overall SEO strategy, whether they come in the form of a consultant or are provided by a full-fledged SEO provider. Because content is important for a site, you need someone on your side generating that content for you if you don’t have time to handle it yourself. At the end of the day, it is important to remember that your site must provide useful, helpful content if you expect Google to send visitors to it.